The Levant News — by Graham E. Fuller –That’s a refrain from a old Turkish folksong—“Bitterly I weep.” It commemorates a bloody turning point at Sakarya against Greek invaders back in 1921. But the words couldn’t more readily apply now to the unprecented and outrageous bombing attacks in Ankara last week against marchers in a demonstration for peace that has cost the lives of some 100 people. Will it bring the country to its senses? That event is the most horrific outcome yet of the escalating violence and mayhem that is emerging from the current Turkish electoral campaign —one capriciously demanded by Turkish president Erdoğan. He was dissatisfied with the electoral setbacks of last June’s elections that thwarted his amassing greater powers; hence he mandated new elections so voters could “right their mistake.” He is operating under the increasingly unrealistic supposition that the new elections on 1 November will somehow reverse his decline and grant him new authority in his arrogant push to create a new super-presidency. The frightening thing is that his electoral gambits have grown increasingly reckless; it now appears as if the president acknowledges almost no limits to the means used to manipulate the electorate into voting for him. Elections in Turkey are generally a rough contact sport—even though they are open and democratic; vote-rigging is rare. This time however Erdoğan is pulling out all the stops in an ever rising campaign of the intimidation and silencing of political rivals, including detention of large numbers of journalists and attacks on media that dare to criticize the president. Worse, Erdoğan is particularly hostile towards the HDP (Peoples’ Democratic Party), a relatively new Kurdish-oriented party which has actually gained a considerable following among non-Kurds in Turkey—particularly liberals and youth—who value its broad outreach as a secular socialist party. It was this strong showing by the HDP in the June elections that robbed Erdoğan of his expected majority. He has had blood in his eye ever since and has chosen to exploit ugly nationalist impulses in the country to discredit—perhaps even find grounds to ban— this party that has been gaining some popularity in Turkey as a fresh new political force. Pro-Erdoğan mobs have visited violence upon the party’s headquarters and members in recent months. It was HDP elements and other liberal forces who dominated the march for peace last week and were the chief victims of the savage bombings. The HDP party leader has directly accused the president of complicity in the bombing of the marchers. There is of course no direct evidence of this as such. Indeed it might be too far a stretch to blame Erdoğan as directly responsible for engineering the events—such an act would of course be criminal in the highest degree. So far Turkish prime minister Davutoğlu has suggested that the “Islamic State” or ISIS is behind the slaughter. No reliable facts have been made public so far, and we may never get a clear answer. What is clearer , however, is that—although proving nothing—Erdoğan probably stood to benefit from this event more than other actors. After inaugurating a bold, admirable and unprecedented initiative in earlier years to open dialog with the main Kurdish rebel group, he now seems to find greater political benefit in discrediting the HDP, perhaps even hoping to unleash unrest among Turkey’s Kurds with the aim of even banning the HDP—thereby removing a major obstacle to a clear-cut victory in the November elections. But to move to mass bombing would be quite another thing. Erdoğan may also be banking on the hope that much of the Turkish electorate may now be so unnerved by the increased violence and recent attacks from the rebel PKK group that they just might decide to vote for the president’s party as a bulwark against the forces of Kurdish nationalism and chaos. But such a calculation represents a huge gamble that could produce a severe backlash: the electorate may well—and justifiably—fear that the president himself has become such a deeply polarizing, arrogant, erratic and destabilizing figure that he is even willing to put at risk the future stability of the country—and therefore will call for his defeat. There are other forces who could also be theoretical beneficiaries of the bombing. Extremists within the right wing nationalist party MHP are one possibility. And ISIS itself of course, could well be behind the act, as the government claims. 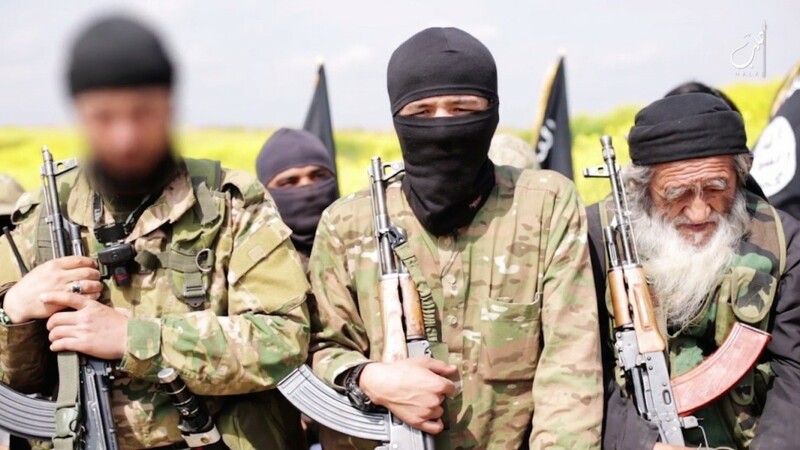 ISIS seeks to drive a wedge between Kurds and Turks and also to “punish” Erdoğan for backing away from his earlier, more tolerant view of ISIS in the struggle against Asad. And to attack his new willingness to support US attacks against ISIS. Yet ISIS usually claims credit for its terrorist actions; in this case it has not so far done so—for what that’s worth. Other theories run more heavily to the conspiratorial—that the PKK Kurdish rebels sought to thwart its moderate Kurdish rivals; but the PKK has in fact declared an overall cease-fire, at least until the elections are over. Extreme leftists too (not a serious political force in the country) might seek to sow mayhem to weaken Erdoğan. But even if Erdoğan’s intimate circle had nothing directly to do with this bombing, there is little doubt that the president has worked to create an atmosphere of xenophobia, fear, instability and anti-Kurdish sentiment that has created an ugly and violent political atmosphere not seen in decades. I worry that he might now even be tempted to create armed confrontation with Russia over Syria as a further distraction—an exceptionally dangerous move. The major question now is how the Turkish electorate will react to events that seem to be dragging Turkey towards the brink. Will it reject Erdoğan and vote against the AKP in enough numbers to severely curtail his powers and vaulting ambitions in the next parliament? Or will it buy into Erdoğan’s increasingly hollow claims to be the “indispensable leader” who can keep the country on an even keel? Turkey has before marched up the to political brink in previous years, only to find the electorate ultimately voting wisely to ensure the stability and progress of the country. Here’s hoping their common sense will prevail this time as well. Stakes are high for everybody involved in the region. How Dangerous is ISIS to Israel?